At the Hair and Scalp Clinics, our patients benefit from the wealth of experience and expertise of our Clinic Director, John Satino, and board certified Physician Dr. Brett Hirsch . Considered experts in the fields of research and surgery, they have a combined 40+ years of experience and have treated thousands of international patients. You will notice our focus is not on being a high-volume center – we respect and appreciate each patient, and take time to educate, reassure, and treat all of our patients like family. John Satino’s career extends to the early days of the hair transplant field since 1969, when it was an antiquated and painful procedure. His background started at Ohio State University when he studied Biomedical Engineering, to medical training in Chinese acupuncture, through being a research principal for all 3 FDA-approved hair-loss options: Rogaine, Propecia, and the low-level laser comb. John has extensive experience in research in 1977 he was Research Coordinator for Biotone International and Wright State Universitys work on Electronic Muscle Stimulation (EMS) to reverse muscle atrophy in spinal cord injuries. In 1983 he was a consultant to NASAs Biomedical Department for the development of EMS to prevent leg muscle atrophy in space flight. John was the lead researcher in the 1984 Upjohn Pharmaceuticals Minoxidil (Rogaine) studies under Dr. C.P. Chambers, and later research coordinator for Merck Pharmaceuticals Phase 1 clinical trials of Finasteride (Propecia) in 1991. Our clinics study on the benefits of low-level laser comb, sold in Canada for the last few years, was published in the Intl Journal of Cosmetic Surgery and Aesthetic Dermatology in 2003 the laser comb recently received FDA approval. He is also published on laser-assisted hair transplantation with the CO2 laser. Memberships in medical organizations include New York Academy of Sciences (1990), International Society of Hair Surgeons (1993), American Hair Loss Council (1996), Society for Laser Medicine and Surgery (2001), Laser Institute of America (2001), and The International Society of Hair Restoration Surgery (2004). Over many decades, John has become not just an international expert on hair transplantation, but has developed relationships with an international list of patients that include major TV personalities, professional athletes, international and US government officials, actors, musicians, entertainers, and even a Middle Eastern prince. John takes pride in the fact that we are not a hair transplant mill each patient is treated as an individual with professionalism and friendliness. Dr. Brett Hirsch A leader in Hair Restoration and Microsurgical Hair Transplantation including both Laser Assisted and Automated F.U.E extraction, the most advanced Method for a no cut, no suture, no linner scar procedure. 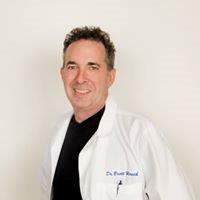 Dr Hirsch began his training at Humana Hospital of the Palm Beaches, Where his interest in the cosmetic field began, he spent two years training with one of the charter members of the International Society of Hair Restoration Surgery. By working with many distinguished hair transplant surgeons, through out the country, he have achieved an extensive background in the State of the Art Hair Restoration Surgery.